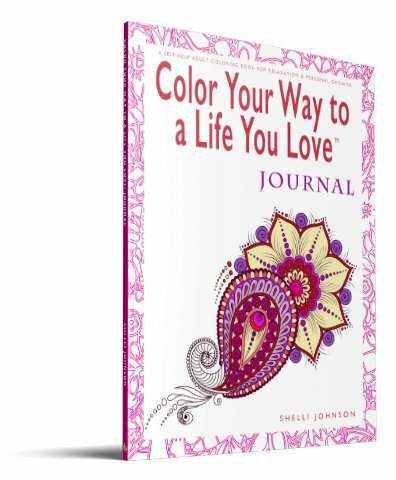 A companion to the Color Your Way to a Life You Love™ series, this journal provides you with more opportunities to record your thoughts, work through what’s got you challenged in your life, doodle your musings & ideas, as well as list all your successes & achievements along the way. This is not just another coloring book, it’s also an invitation for you to delve deeper into who you are so you can find out what makes you come alive. With that in mind, I invite you inside these pages on a creative self-help adventure. You’ll unleash your artistic side with 60 calming designs & patterns to color while you: 1. write to help you identify what’s holding you back, 2. clarify the actions you need to take to move yourself forward so you can heal & create a life you love, & 3. give yourself some much-needed self-compassion. My hope is that you’ll use these pages to ignite your imagination, discard your limitations, & free your inner creator.